Manchester United goalkeeper David De Gea has been told by Real Madrid president Florentino Perez to turn down the new contract offer from his current employers. De Gea has been the subject of constant interest from Los Blancos, who have made numerous attempts to unsettle him over the last few summers. They came closest to signing him back in 2015, when a deadline day move seemed all but settled, until a faulty fax machine caused the transfer to fall through at the last minute, with neither club accepting the blame for the failed move. Since then, Real Madrid have been content with having Keylor Navas as their man between the sticks, and the keeper has done a magnificent job for the Spanish club. In fact, earlier this month, it was announced that Navas had been named ahead of De Gea as one of FIFA’s three best goalkeepers in the world. However, Real recognize that his exclusion was probably down to the fact that the Spaniard was benched for Europa League campaigns last season, with Sergio Romero being preferred to stand in goal for Europe’s second tier competition, which United ended up winning. Navas on the other hand, won the La Liga and the Champions League with Real. Still, the European heavyweights continue to watch De Gea, and are determined to secure his signature. The 26-year-old’s contract at Old Trafford expires in 2019, and the Red Devils are set to begin negotiations with their shot-stopper over an extension. 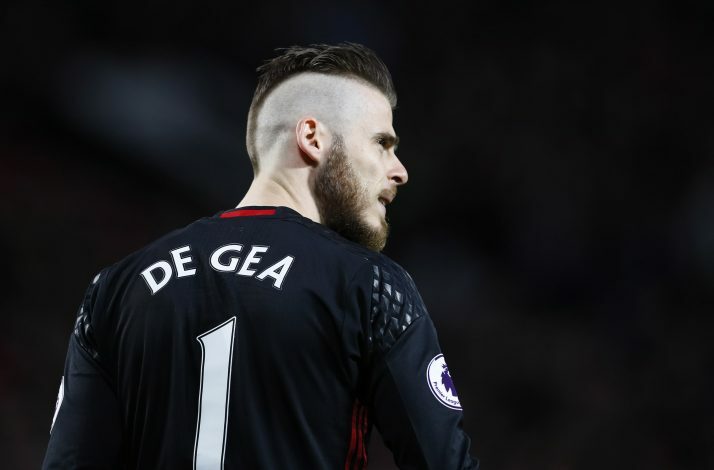 According to Spanish publication Diario Gol, though, Florentino Perez has tried to tip the scales in his favour, by personally contacting the De Gea and asking him not to sign a new contract with United, and that he is prepared to match any deal the English giants put forward. This move from Perez is so ungentlemanly. If Real always want the best because they can afford the best, well they are not the only ones now. United also deserve the best players.